Cannabis or marijuana has been used medicinally in the United States since the mid 1800’s until 1937, when “Reefer Madness” ensued and marijuana (as well as industrial hemp) was made illegal. Despite its illegal status, cannabis continued to be used illegally for medicinal (and recreational) purposes over the last several decades. 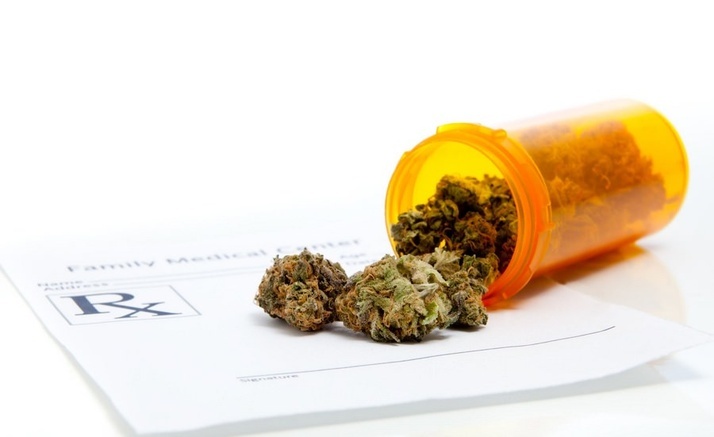 More recently, however, because of public demand for legal medical marijuana, various states have now allowed its use. California was the first state in the United States to legalize medical marijuana back in 1996. Now 23 states recognize and allow the use of cannabis as medicine. Your brain and nervous system contains many receptors for what are known as cannabinoids, chemicals that have cannabis like effects. These receptors are part of what is known as the “endogenous cannabinoid system” (ECS). Your ECS is responsible for facilitating many functions in your body including eating, sleeping, relaxing, helping to eliminate painful memories, regulating pain, inflammation and immune system response, sleep-wake cycles, hormone balance, and much more. There are two major types of cannabinoid receptors, CB1 and CB2. CB1 receptors are very abundant and are located throughout your nervous system. The CB1 receptors help modulate your mood, behavior, energy usage, heart function and sexual function, cognitive abilities, memory, perception, pain levels and muscle functioning. CB2 receptors are located mostly in your immune system and help regulate your immune response and inflammation. The binding of cannabinoids to their receptors stimulates your endogenous cannabinoid system (ECS) to do its job regulating many functions of your nervous system, immune system and hormonal system. CB1 activation, for example, reduces the effects of calcium and enhances the effects of potassium which then helps control the release of various “brain chemicals” like serotonin, gamma-aminobutyric acid (GABA), adrenaline, dopamine and many more. CB2 activation helps control your immune system and can reduce inflammation through numerous pathways that involve immune cells like neutrophils and macrophages and by reducing the production of proinflammatory chemicals known as cytokines. THC is present in varying quantities in the cannabis plant and when it is heated to a temperature of greater than 120 degrees centigrade (which equals 248 degrees Fahrenheit) is activated through a process known as decarboxylation. THC binds to both CB1 and CB2 receptors (CB1 more so than CB2) and is responsible for most of the psychoactive and pain relieving activity of cannabis. THC also binds to your serotonin, dopamine and NMDA receptors (and other receptors as well) and stimulates the production of your endorphins (endogenous opiods). THC also has many different anti-inflammatory effects. CBD (Cannabidiol) does not have any psychoactive effects, but has profound immune modulating and anti-inflammatory activity. It can help with pain, inflammation, nausea, anxiety, seizures, reduces neuroexcitotoxicity (and can therefore prevent brain and nerve damage). Many new strains of cannabis are now being bred to have high levels of CBD (and low levels of THC) in order to take advantage of CBD’s therapeutic properties without causing the psychoactive effects of THC. Cannabis contains almost 500 different chemical compounds, including terpenoids, flavonoids, phytosterols and cannabinoids. The amount of THC, CBD and other cannabinoids in any specific cannabis plant is a result of the particular strain of cannabis, techniques of cultivation and soil and climate conditions. The psychoactive effects, fragrance, potency, and all of the various therapeutic effects of cannabis are dependent on the relative amounts of these several hundred compounds. Consequently, each variety of cannabis offers you a unique therapeutic and psychoactive experience and ambience. Anandamide – first identified in 1992 in pig brains, this molecule’s name is derived from the Sanskrit word for bliss (ananda). Anandamide is chemically much different from THC but has been shown to bind to CB1 and CB2 receptors and shares many of the pharmacologic properties of THC. Scientists and researchers speculate that the ECS has a widespread role in regulating many systems and functions in humans (and numerous animal species) including central nervous system, immune system, gastrointestinal system, reproductive system and cardiovascular system. Learning and synaptic plasticity – activation of CB1 receptors controls the release of numerous neurotransmitters – the possibility exists that endocannabinoids act to affect brain development, learning, and the extinction of aversive memories. Allergy and Inflammation – Endocannabinoids help immune cells communicate with nerve cells and blood cells affecting the acute immune response, keeping excessive inflammation in check. Anandamide may increase the production of prostaglandin E2 that can help prevent the spread of an excessive inflammatory response. Reproductive System – tissues of the reproductive system contain cannabinoid receptors and are able to synthesize and breakdown endocannabinoids.